Home > Events > Weekly Events > BIG DAVES BIG NIGHT OUT! SPGC Members it’s time for a mid-week outing! 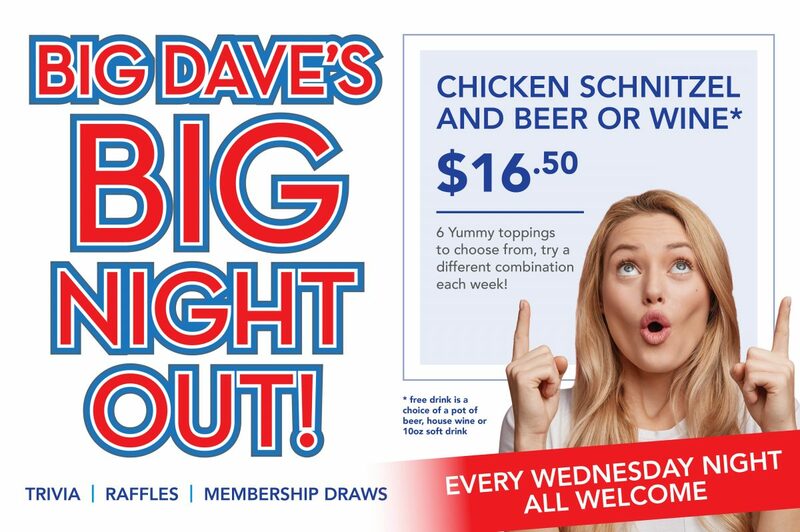 Join Big Dave at the club every Wednesday night for a whole lot of fun, test your smarts with trivia, try your luck with our meat tray raffles and membership draws. 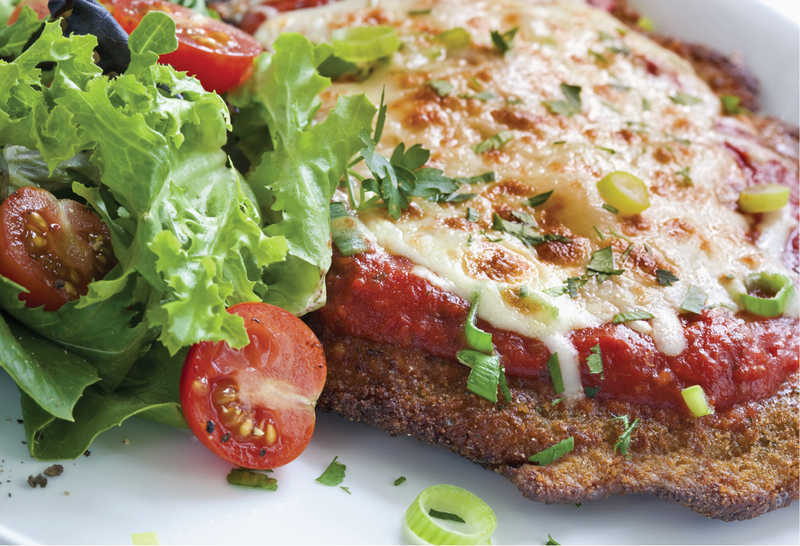 And for dinner, keep life interesting with a tasty chicken schnitzel with your choice of topping and a beer or wine for only $16.50, there are 6 different toppings to choose.